When dealing with special needs children, setting up the classroom may be one of the most important things you can do to make your year successful. Many special needs children regardless of their diagnosis have similar things they find difficult. 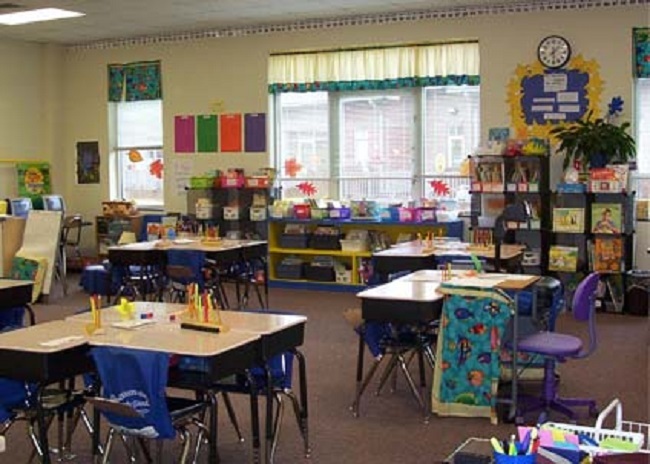 Below are many ideas to help the teacher arrange and get the classroom ready for the year to begin. 1. Make a visual schedule for students to follow each day. 2. Put tennis balls on the bottom of the chairs to decrease the sound in the room. 3. Be very aware of sensory issues. If a child is overwhelmed by sensory stimuli in the classroom this is going to distract them making it impossible for them to concentrate. 4. Prompt students when they get off task. Sometimes this may be just walking over to the student and putting a hand on their back. 5. Use things like visual supports however make sure the visual supports aren’t so cluttered the child becomes overwhelmed by it. 6. Teach organization. This can be a notebook with all their information in one place. 7. Have open communication with parents so they can follow through and there is a consistent way of doing things. 9. Many children have problems with memory, help make flashcards so they can find what they are looking for and help them study. 10. Seek out and understand success as much as possible. 11. Break tasks into smaller tasks. Don’t give them a huge task or a list of assignments and expect them to follow through. They are much more successful when its broken down. 12. Go for quality rather than quantity with classwork and homework. Keep in mind, many children with special needs take medication and remember that the medications are wearing off by the end of the day. Before assigning homework is it really necessary? 13. Make consequences logical and reward often. Come up with a reward system so the children are getting positive reinforcement on a continuous basis. 14. Use privacy boards when there are things going on around the room. 15. Move student’s desk to where there are fewer distractions. Most of the time that will be beside the teacher, up front or beside a quite child. Easy and Fun Mathematics Or Why Can’t You Do Math in Your Head?